Shredded. That’s the only word that could describe my kindergartner’s Hundred Day homework assignment. Her carefully crafted project lay in tatters—most of the 100 cereal pieces now missing—as my pup Roscoe meekly stood by. The dog really did eat my daughter’s homework! The question was, would her teacher believe it? Take a peek at my pal Diane’s blog for the full story plus pictures (evidence) and see what you think. Submit a comment to the blog by 11:59 pm EST Sunday, March 1, 2015, to tell me which of the contests and resources below are your favorites. One lucky teacher will win all four books! Here’s another way to add to your classroom library. 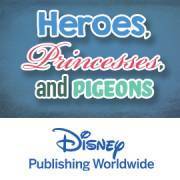 Invite heroes, princesses, and pigeons into your classroom by entering to win 30 copies of the book of the month from Disney Publishing Worldwide. The current featured books are I’m Invited to a Party!, Light in the Darkness, and Hand in Hand: Ten Black Men Who Changed America. There’s a chance to win during every month of the school year! 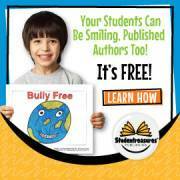 Plus get free teacher guides for books that are perfect for your grade level. Learn more at TheMailbox.com/disneybooks. Did you know World Read Aloud Day is March 4? The day is held to demonstrate that everyone has the right to read, to write, and to share their stories and is now celebrated in more than 80 countries. Click here to download a free classroom kit, including a read-aloud guide with suggested materials, an event guide with suggested group activities, and more. Want to schedule a Skype visit from an author or a storyteller to enhance your day? Click here! Keep the literacy inspiration going by publishing a classbook featuring your students’ own work. It’s free and easy through Studentreasures. Students fill kit pages with their writing and illustrations—Studentreasures even provides free Common Core–ready lesson plans and worksheets; you submit the kits and the hardbound book is delivered to you. You don’t even have to pay postage. Plus, when you publish by April 10, you’re automatically entered to win school grants. Click here to learn more. Running short on classroom supplies? Revisit your classroom wish list and get ready to restock: enter now for a chance to win a $500 Office Depot or OfficeMax gift card or to be one of 80 instant winners of prize packs from sponsors that include Duck Tape, Bostitch, Bic, Crayola, Mead, Georgia Pacific, Fiskars, and Elmer’s. Plus every teacher gets a free classroom refresh kit and a free science fair kit. Find it all at TheMailbox.com/classroomrefresh. Don’t forget; submit a comment for a chance to win the four I Wonder Why books! Ooh! 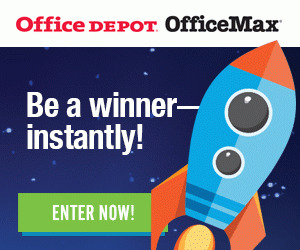 I would love to win the Office Depot/Office Max giveaway! Love the idea of World Read Aloud Day is March 4! Thanks for the lessons plan. I love World Read Aloud Day. Thank you for the ideas! I like to tell my students that everyday is World Read Aloud Day. Love the dog ate it story. The books sound great. I love World Read Aloud day! My kindergarten class is obsessed with animals and plants. I would love to read these books to my class. So many non fiction books are too hard and have too many words on a page. The books would be an excellent resource for my students. I enjoyed the story. Did the teacher buy it? The books sound great. The teacher did believe the story, Freda. Fortunately we had chewed-up pieces of evidence to share! I believe it. My dog ate what? My dog ate a butterfly bandage and swallowed it before I could get it out of his mouth! I love it!! I actually had my dog eat my homework once. It CAN happen! I like the Read aloud day kit as my children love to be read to. You would be surprised what a dog will eat. Read Aloud Day is a wonderful idea. As a librarian, World Read Aloud Day is very important to me – most every day is a read aloud day for me!!! Love the Office Depot Office Max sweeps!